Instagram is becoming the most optimal social media platform for businesses and brands. Brands like @nike are spending massive amounts of time and resource to utilize this powerful tool. 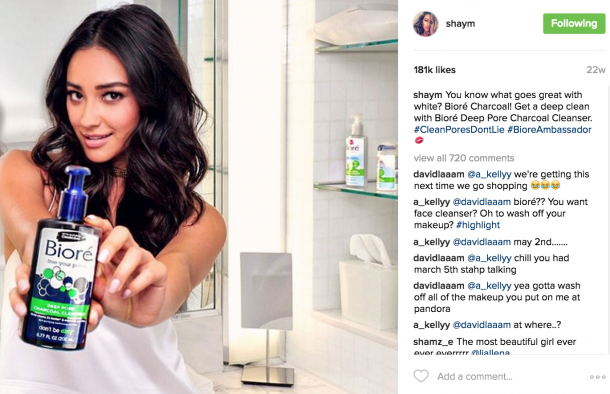 Instagram allows for brands to create a social voice and visual aesthetic through image and video. I don’t need to explain the innumerable advantages a brand receives when doing this. However, many brands are forgetting one key factor in the implementation of an effective social media marketing plan. Captions! Captions create engagement, traffic and a voice for your brand. Just as we spend time perfecting our photos & videos, we should be allocating some time to create compelling captions. Don’t let your captions become spammy comments like “love this car!” or “wow this is so cool!”. 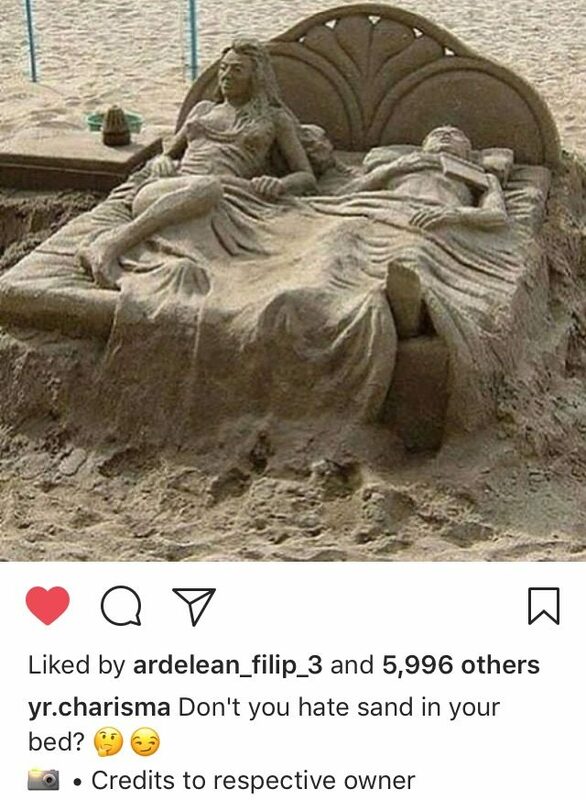 Try creating original captions that draw the users attention, engages them and finally drives them to a different location. Just below we are gonna go over some key elements for creating compelling Instagram business caption. What makes a Compelling Caption? 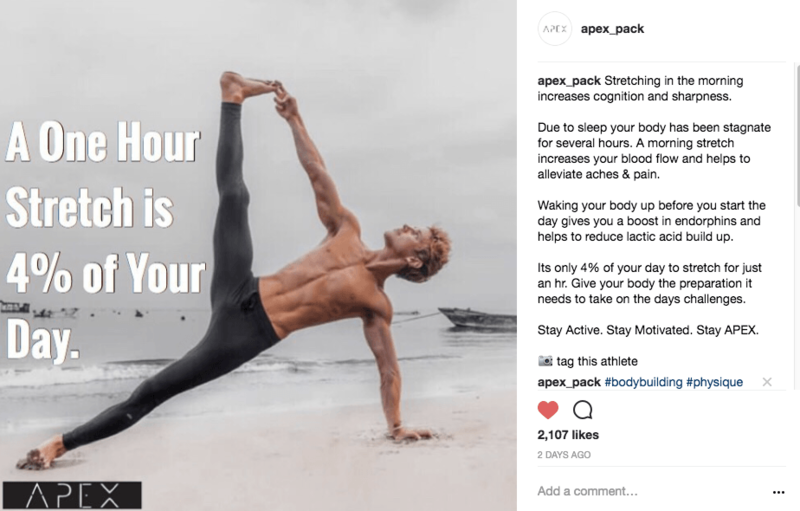 A good Instagram Business Caption will attract the users attention, have a compelling body with great content and drive the user to take action. Jenn Herman explains that Instagram only allows 2,200 characters in a caption and 30 hashtags. 2,200 characters is more than enough to get the job done effectively. But this does not mean that your captions should be filled with distracting emojis or cluttered hashtags. Just as you would write any piece of web content your caption should be grammatically correct, easy to read and connect with your audience. Let’s go over some key elements of an effective instagram business caption. With over 500 million active users. It is easy for post to get lost in the viral nebulous that is the instagram explore page. Image and video is the primary factor in grabbing the user’s attention, but the caption is what holds their attention. The average user spends roughly 21 minutes daily on the app. This means having creative captions could be the difference in a post being scrolled past or engaged with. Now, image’s certainly do give brands a visual aesthetic. However, captions allow for an explanation of content, giving brands a social voice. This is where users connect with the personality and mission of a brand. The first 4 lines are the most essential lines to grab the audiences attention.The above caption by @kevinhart4real is an excellent showcase of an attention grabbing intro. His caption gives insight as to what the content will be pertaining to. In addition, right before the read more, he has used compelling language to drive the user to continue reading. When the user clicks “more” the caption has accomplished two things. One, grabbed the users attention. Two, peaked their curiosity causing them to read more. Utilize these elements in your content strategy to boost engagement and conversions. Push Notification Apps such as Buffer, are great places to write up draft posts and view them in an Instagram fashion. Remember to focus on the first four lines, intrigue your users. Nothing is worse that providing excellent content to the wrong crowd. Identifying the target audience is a huge factor in an effective content marketing strategy. Now, providing content that users will find interesting and engage with may seem like a daunting task. However, to find out exactly what the target audience responds best to, look at influencers in the niche and check out their recent post. Rather than waisting the time and effort implementing hundreds of different variations of posts. It’s best to learn by example and take the effective strategies used by influencers and incorporate it into your own plan. After all they have millions of followers for a reason, take whats working and alter it to fit your brand. 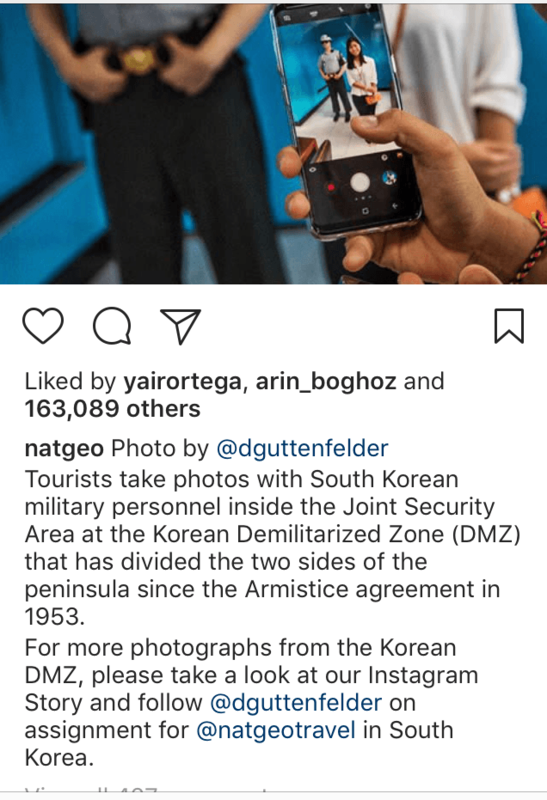 Here is a fantastic example from @natgeo. The target audience utilizes their feed as a way to stay up to date on current events going on in the world involving nature and humanity. The captions are typically long in nature but consists of detailed context about the stunning images/videos they post. The information is gathered by their staff, who are experiencing it first hand. So the content is valid and can be trusted. This is huge! The audience not only becomes informed but accurately informed. Having quality content that is informative, accurate and target audience friendly is a huge benefactor to your brands engagement. The culmination causes users to continue to read future post because of the level of care you put into it. Instagram is a platform around centralized photo and video. Users want to be able to understand the image without having to read a novel. Keeping your captions short and concise gives the users the info they need without losing their attention. The last thing you want to do is provide too much information that the user get’s lost and scrolls past the post. Even though you have roughly space for 400 words in a caption, you should rarely ever reach that limit. Jeff Bullas found Facebook Post received 66% higher traffic when using 80 characters or less and 86% higher engagement when 40 characters per post. 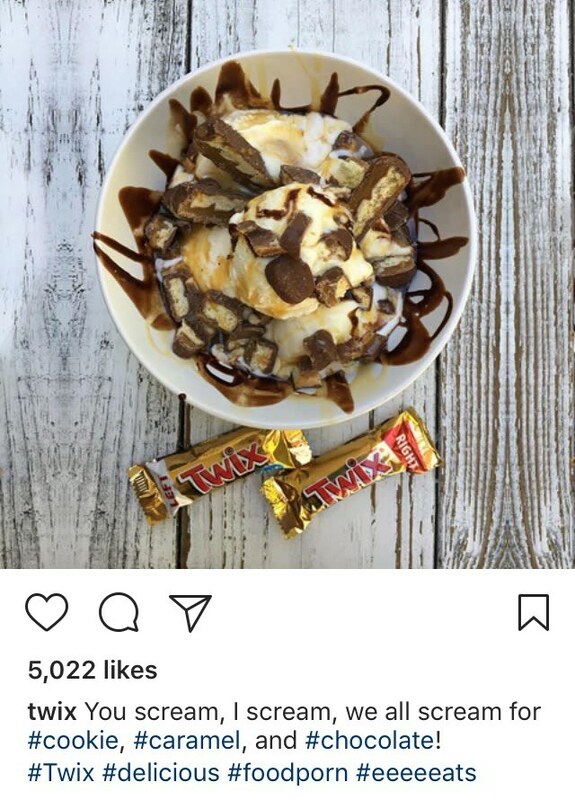 Here is a perfect example from the candy company @twix. Showcasing their delectable treats with a children’s song is both funny and unique. Posting pictures of ice cream paired with their candy bars during summer. While having a concise but clever caption beneath are key ingredients to a successful content marketing strategy. One of the most effective ways to catch a users attention is to ask a question. This makes them stop and really examine your post. Asking a question also increases engagements, as users respond to the question in the comments. Questions allow for a brand to get user feedback, recommendations and an all around better understanding of their audience. In addition, taking recommendations or asking for user’s feedback creates a level of trust between brand and consumer. The user feels that the brand is listening to their opinion and taking it into account. @yr.charisma uses a questions to bring some humor to his post. Posing a question can be as easy as a simple “yes or no” or a more elaborate open ended question. It’s all about knowing your audience or what kind of information you want to pull from them. But questions are a two way line of communication. Meaning that you need to respond to user’s comments to show that you actually want to hear what they have to say. A great way to connect with your fellow Instagram community is to mention others in your post. One of the best ways to better the relationship between brand and consumer is to mention them. In addition to strengthening the bond between follower and brand, mentioning can cause cross engagement. Cross engagement occurs when users from the mentioned handle engage and follow the posting account or vice versa. This method is great for B2B or B2C. Both help to cross pollinate followers and engagement. Mentioning someone can be as easy as saying who you were around for the day. 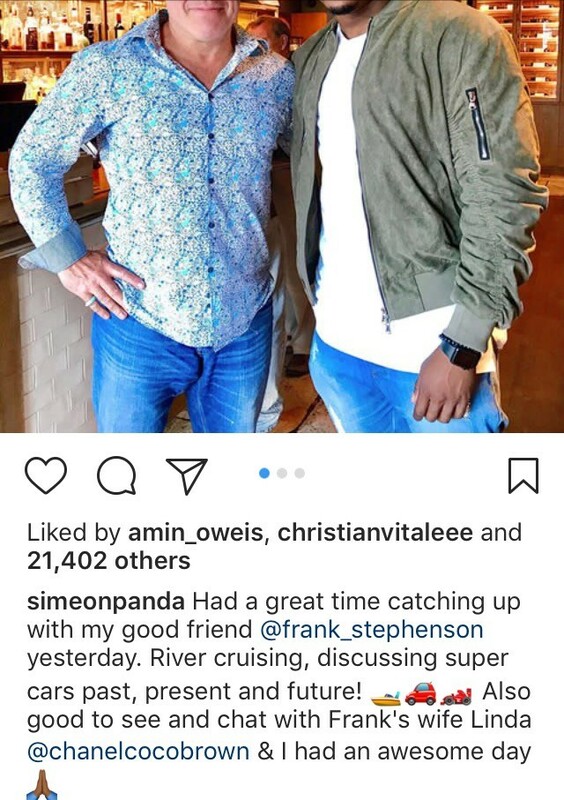 For example @simeonpanda mentions old friend @frank_stephenson and the wonderful day they had. This is the where the post goes from web content to lead magnet. Having a Call to Action (CTA) in the caption helps drive users to a specific location or perform an action. You have already peaked their curiosity and grabbed their attention with the image/video. Now its time to turn their attention into a controlled action. 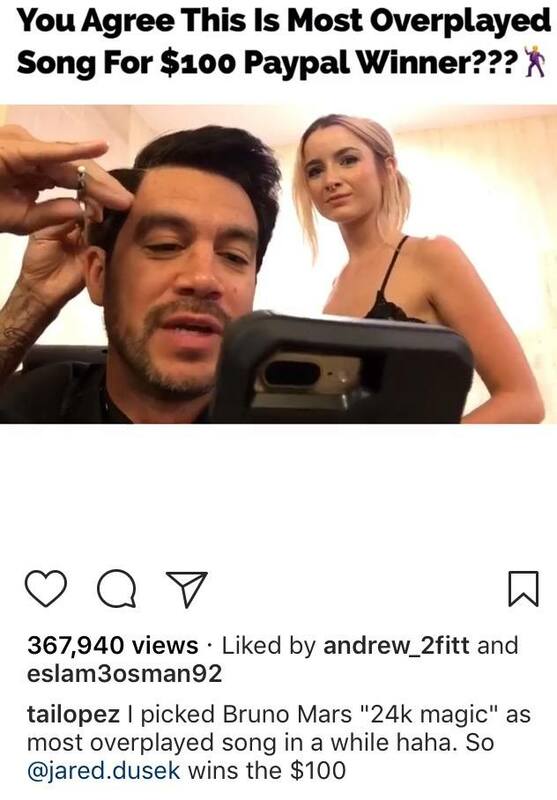 @tailopez is a CTA King! His ability to drive traffic from his 2.2 million following is uncanny. He is constantly giving back to his following with cash prizes, cars and vacations. Tai utilizes mostly videos to explain his post. His captions typically consist of CTA’s or announcing winners, like in the example above. Using post to drive traffic is an invaluable tool. The same followers can be directed over and over again with CTA’s to perform actions of your choice. Having a responsive and loyal Instagram following is much like having a high converting email list. The revenue generated from such a following is exponential. Start using phrases like “Go to link in bio” or “Tag someone that needs to see this” in order to increase engagement and traffic from post. Share Your Favorite Instagram Business Caption Strategies in the comment section below.